I’ve tried a lot of brands of baby and toddler food over the years. I’ve taken my sons’ lead on taste and texture preference. One brand that always made the cut with both my boys is Happy Family. 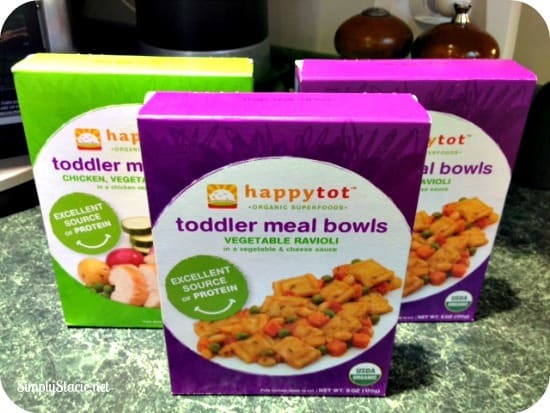 From their puffs to their pouched baby food, Happy Family has been a staple in my home since my oldest son has been on solids, so when I heard they were starting a line of toddler meal bowls, I was excited to for my boys to try them! We were lucky to find a variety of Happy Family Happy Tot Meal Bowls at our local Target. I chose the chicken and vegetables and the vegetable ravioli to try. The instructions are quick and easy – vent the bowl, microwave for 30 seconds and you’re done! The chicken and vegetables had the consistency of a thick stew, and while my 3-year-old wasn’t crazy about that, it was the perfect texture for my 12 month old. 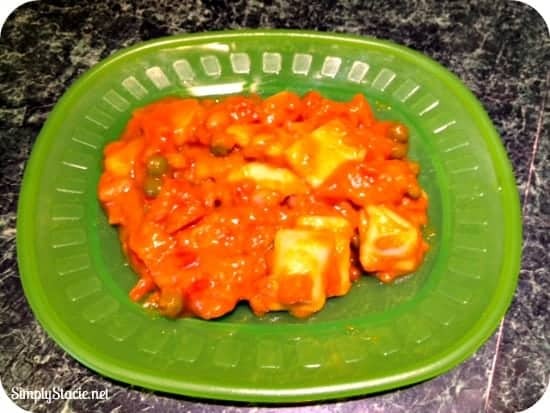 My 3-year-old was a fan of the ravioli – its small size was perfect for him, and the sauce was thick and flavorful (I tasted it myself!). These meal bowls are the perfect solution for a quick lunch or dinner. They are 100% natural, organic foods rich in vitamin A and protein, packaged in BPA free bowls, so I feel good about my children eating them. Happy Family carries a full line of baby and toddler food products that are organic and natural – foods that you can feel good about your children eating. From first foods, to healthy snacks and meals, they offer the perfect feeding solutions for busy families. You can find out more about the Happy Family brand by visiting their website – where they also offer numerous health and wellness resources as well. They are sold in a variety of grocery, health and general mass merchandise stores. Check out their online locator to find a retailer near you that carries the Happy Family brand. You can also keep up with Happy Family on Facebook and Twitter.